A college student thought he was pretty sophisticated by making his own customized remote control. With his own remote, he was able to control his television, his gaming console, his lights, his computer, and his roommate's computer (which turned out perfect for playing pranks). From the convenience of his couch he could control all of these electronics with a simple push of buttons, and this was great for impressing friends and attracting girls. This student wasn't a genius. And no he wasn't a nerd. He was an electrical engineer, and he was able to use what he had been learning about in his engineering courses to make positive applications in his life. Electrical engineers design not just electronic devices, but in doing so they are literally designing the future. With your own Associate's Degree in electrical engineering you'll be able to do much more than customize your remote controls. You'll be able to customize your life, designing incredible pieces of technology that potentially revolutionize the way we learn, work, socialize, and entertain. Electrical engineers take the latest technological advances and discoveries about electricity and find ways to adapt that technology to practical products for businesses, consumers, governments, and everyday societal needs. The primary focus of an electrical engineering program is on the mathematical and scientific principles governing electricity and different types of power. This might sound simple at first, but any path of engineering particularly electrical engineering requires a sophisticated degree of proficiency. Electrical engineers might work on everything from nuclear power to hubcaps. More specifically, an Associate's Degree program is designed to equip students with the hands-on technical application of the mathematics and science so that they can earn careers within this field. Their technical training involves performing experiments, collecting data, analyzing data, and applying information to real-world practical settings, from handheld communication devices to large power grids. This provides some of the background experience necessary for setting individuals up to not only test products and hypotheses, but to actually design future products as well. For careers, an Associate's Degree is the key to unlocking the entry level positions of the electrical engineering industry. 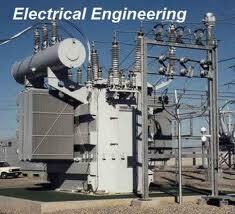 Common employment includes becoming an engineering technician. This individual is responsible for working on a team of engineers who are acquiring data, analyzing results, testing products, and assessing processes, normally for a lead managing engineer. Electrical engineers are most commonly employed by governmental agencies or corporations where they work in labs or plants. There they are tasked with looking at the specific requirements of their employer and modify processes, provide necessary power, or develop products. Sometimes electrical engineers will be independently employed, serving as a contractor or consultant to organizations that temporarily require their expertise. This might mean that the engineer works for one particular client at a time, or their time is divided between several smaller projects at different organizations. The tasks frequently remain the same, however, requiring that the engineer use the latest technological advances to find practical solutions to organizations' product and process development. Electrical engineers make it easy to be impressed by them. Much of the electricity and electronics we take for granted on a daily basis are the very devices developed by these elite engineers. Even though you might currently not know how to build your own remote control or harness the power of electricity, by obtaining an Associate's Degree in electrical engineering, you'll be exposed to the essential math and science features that get you thoroughly prepared for this exciting field. Whether working on testing electronic sensors or developing a magnificent power system for a community, your contributions will doubtlessly continue to improve the way we live.